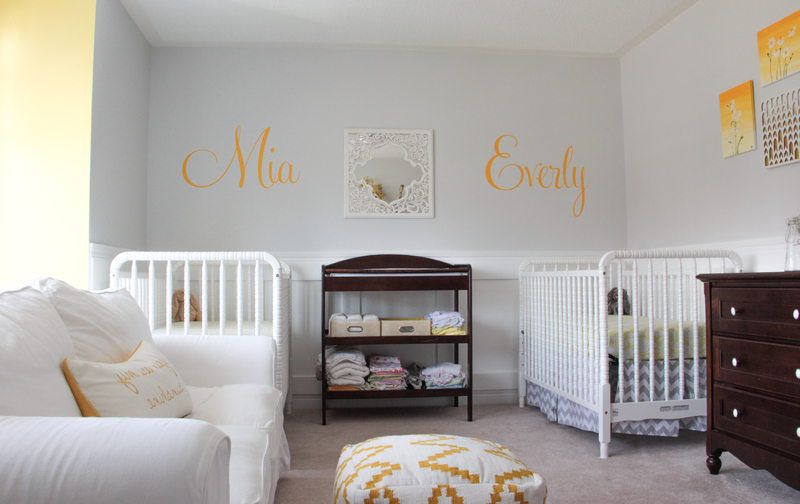 When I initially started planning for our twins, I tried to keep all of the baby stuff to a minimum. But the more I researched, I started to realized that we needed a command centre in our family room, right next to our kitchen. 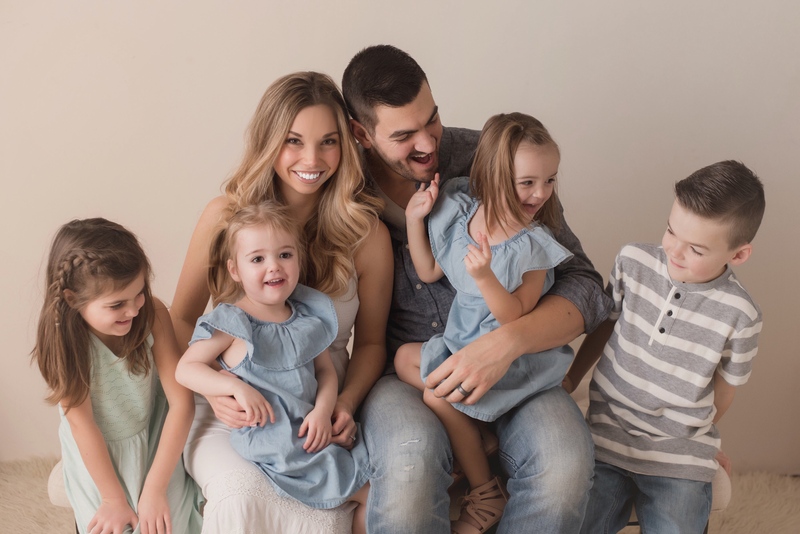 After initially turning down a second change table that my sister-in-law offered, I gave in thinking having another spot to change our babies, without heading up the stairs to our second floor each time, might not be a bad idea. 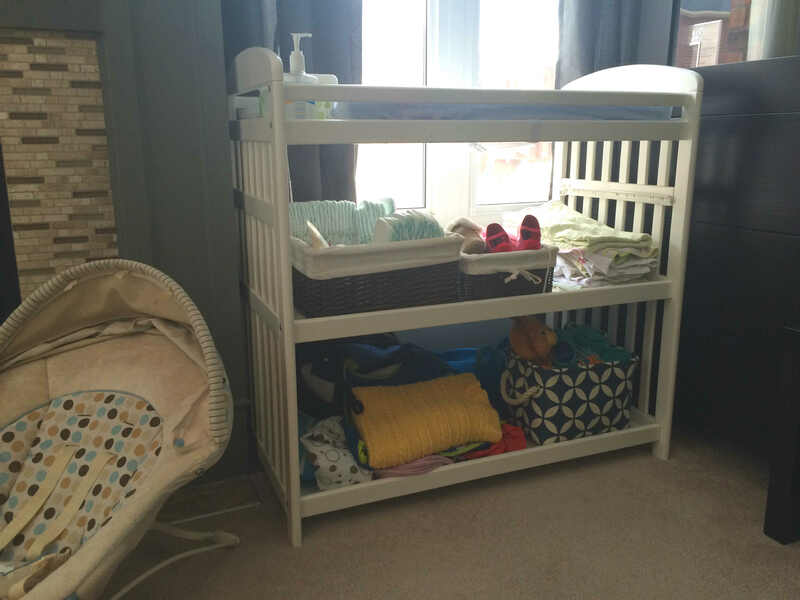 Little did we know that our second change table would house much more than diapers. We basically lived out of that change table for the first six months. We barely had to head upstairs to the nursery. Below is a list of the contents from our second change table. 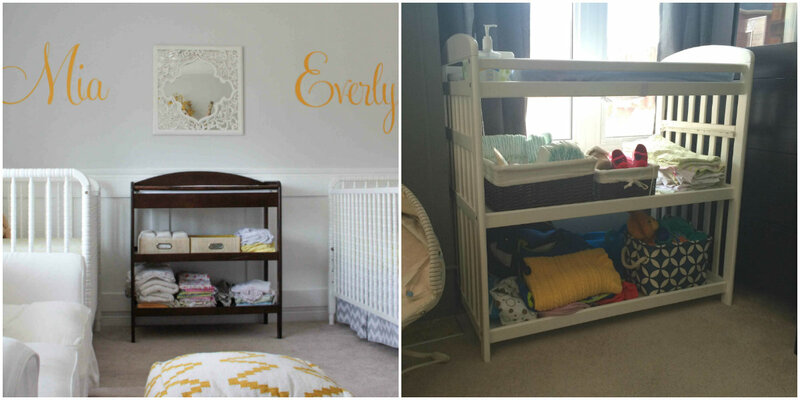 So, if you are preparing your home for multiples, I highly recommend adding a second change table to whatever part of your home you spend the most time in!